In 1999, TLC released one of the most infectious anthems for the ladies ever heard. No Scrubs described independent women and the fact that they needed NO man... well, at least no scrub. The song shot into the top 10 in many countries worldwide as well as peaking at #1 on the Billboard Hot 100 in the US. This release is timeless and still gets the women moving and singing when it comes on. The year is 2016 and DJ Diamond Dog has bootlegged not 1 but 2 versions of this classic. Earlier this year, there was the more mellow version featuring the beat from Same Old Love by Selena Gomez (you can listen to this version at djdiamonddog.com). Now, there is the much more upbeat and higher energy version of this song laid out over the beat from Party Up by DMX as well as a featured performance by Fat Man Scoop. This high energy version is guaranteed to get a great response from the ladies at any get together or bar/club venue. 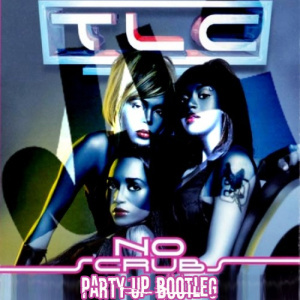 You can sample No Scrubs (Party Up Bootleg) and you can also download it for your music collection. There is also a remix video that you can watch here.